When you think of sheet pan dinners, you likely think of roasted meats being an important component. Not necessarily! Vegan sheet pan dinners are just as hearty and are very easy to make. Here are some good rules of thumb for how to assemble them, plus meal ideas you can whip up for dinner tonight. Add nuts. Do this in the last five minutes of roasting to give them a bit of a crunch and roasted flavor. Just keep an eye on them to be sure they don't burn. Add tofu. You'll need to improvise a bit depending on the bake time and temperature is for the tofu recipe versus the veggies, but as a general rule, add the tofu during the last part of the roasting process, and reduce the oven temperature to a happy medium between what the roasting recipe calls for and the tofu recipe calls for. Be sure to flip your tofu pieces halfway through. Add a can of beans. 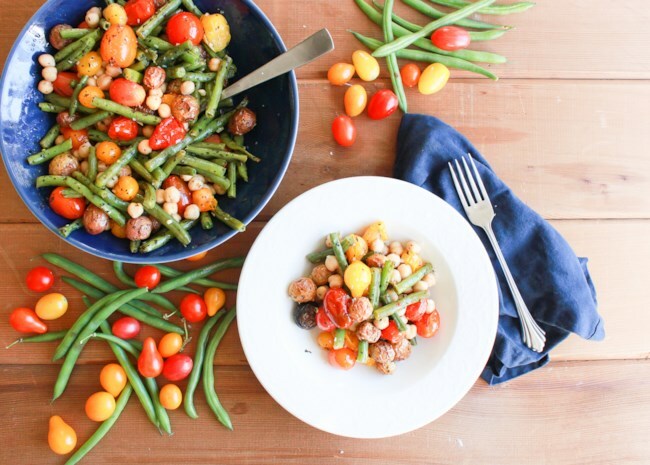 Canned beans add convenient, ready-to-go protein to any sheet pan meal.To avoid mushy beans, simply toss them into the final roasted dish as soon as it comes out of the oven. Canned beans will already be at room temperature, so it'll just take a little mingling with the hot roasted vegetables to warm them up. Easy peasy. Here's a cool trick for baking everything on one pan without things getting mixed up and mushy. For recipes where some vegetables, such as tomatoes, will make the pan juicy, use tin foil to form little compartments inside the sheet pan. This will keep them separate from, say, potatoes that you want to get super crispy. Then simply mix everything together at the end. More: Get tips and ideas for making all kinds of sheet pan dinners. Simple ingredients come together in a surprisingly delicious way in this sheet pan dinner that's ready in less than an hour, and only requires ten minutes of prep. No need to add anything to this recipe—it's good to go as-is! 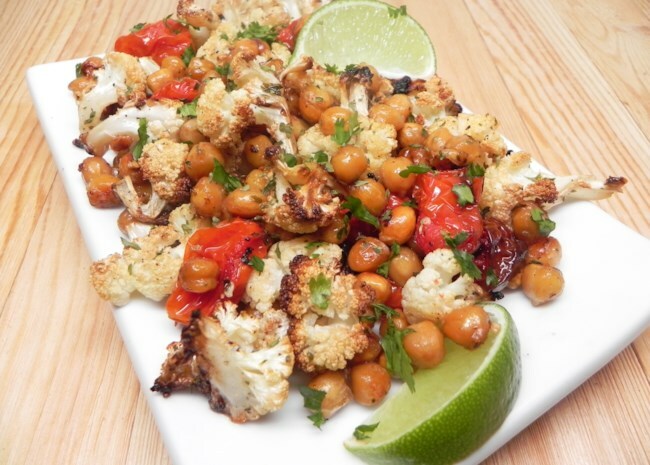 Roasting the garbanzo beans with the vegetables at high heat caramelizes the ingredients and deepens the flavor of this quick dinner. Use these recipes as your base and add your favorite vegan protein. Give this hearty recipe an Asian twist by adding Spicy Baked Tofu marinated in a soy-chili-ginger-hoisin sauce. This will be a good one to try out that tin foil compartment pro tip mentioned above. The cook times on both recipes are pretty similar, so stick close to what's called for and roast/bake everything at 400 degrees F.
Rosemary is always just begging to get close to almonds, so pair this recipe with one cup of the slivered variety—add the almonds in the last five minutes. All this recipe needs is one cup of walnuts in the last five minutes, and you're done. 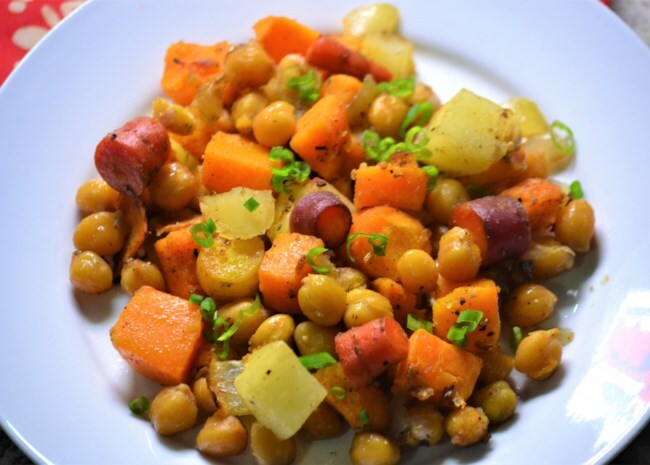 Add one can of any variety of white beans (drained) to the veggies after they've been roasted to boost the protein content, and dinner is served. Want more ideas? Check out these Paleo sheet pan dinner ideas. See our entire collection of sheet pan dinner recipes. Most of them include non-vegan protein, but there are lots of vegetable ingredient ideas to steal. Find even more top-rated vegan recipes for every meal of the day.